A new Facebook initiative, in partnership with Nokia, Ericsson, Qualcomm, Samsung, MediaTek and Opera, focuses on mobile communication and has the goal of making internet access available to the two-thirds of the world's population who are not yet connected. Reading about this in the local press (see for example, The Korea Herald report here), the one surprising thing to me was the conspicuous absence of Google in the list of partners. Making internet access affordable by making it more efficient to deliver data. Using less data by improving the efficiency of the apps and experiences we use. Helping businesses drive internet access by developing a new model to get people online. 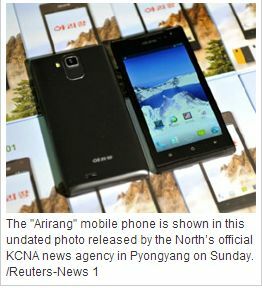 The announcement by North Korea that it had manufactured its own smartphone, named the Arirang, received a great deal of press attention over the past several days. The phone is pictured in the accompanying graphic (click to see a full-size version). However, I was not surprised to see a follow-up report in today's Chosun Ilbo indicating that, according to the Hong Kong daily Ta Kung Bao, the phone is actually a Chinese knockoff with a North Korean label. According to The Chosun Ilbo report, The BBC last Tuesday also quoted experts as suggesting that the Arirang smartphone is a Chinese product. Steven Millward, an editor of Singaporean IT website Tech In Asia said, "Possibly, the whole smartphone is made in China and only the final boxing is done in the rather sparse plant that Kim Jong-un toured." The BBC and the Hong Kong newspaper appear to be onto something here. I've published my ICISTS-KAIST 2013 conference presentation to the web so that interested people can view it. It is available at this hyperlink. The presentation is in a standard slide format with slides set to advance or bullets set to appear automatically every three seconds. Note that about ten of the slides have embedded video excerpts. You may view the entire video or advance to the next slide with a click of the mouse. Comments and questions are welcome. Although I am not an engineer by training, I have a healthy respect for the role that semiconductors play as basic building blocks for the computers, smart devices and digital networks that together comprise our emerging information age. This week Samsung announced, as reported in the Joongang Daily and other papers, that it "... has begun mass producing the industry’s first three-dimensional (3-D) Vertical NAND flash memory whose innovative structure has made reliability up to 10 times better and doubled write performance and capacity of conventional 20 nanometer NAND flash memories." The device itself, as pictured in the accompanying graphic (click to see a larger version) looks much like many other chips. However, that appearance belies its strong capabilities and vast improvement over existing NAND memory chips. As the Joongang Daily article notes," The new chip the size of a fingernail has a capacity of 128 gigabits (Gb), meaning it is able to accommodate 128 billion units of memory storage. 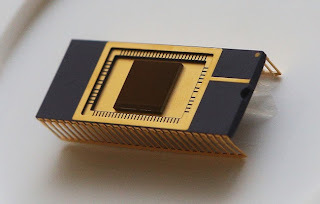 Although the size is same as that of Intel and Micron chips, which still use planar NAND technology, most notable achievement for Samsung is the proprietary vertical interconnect process technology that can stack as many as 24 cell layers vertically." 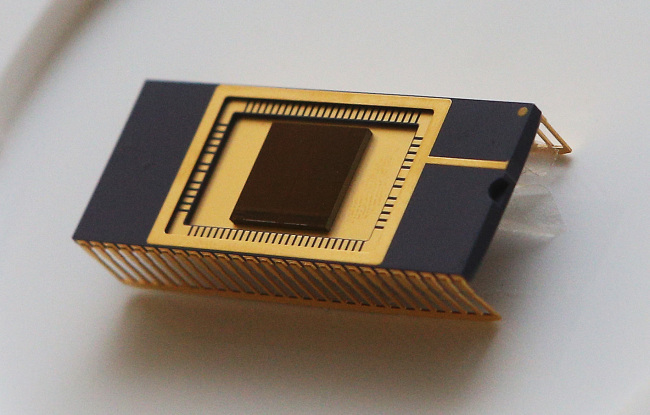 The innovation is expected to be a stepping stone toward realization of a 1 terabit NAND Flash memory chip within five years. Samsung will initially supply the new chip to data centers, but plans to use it soon in smartphones and tablets as well. My ICSTS conference presentation "Forgotten, televised and cyber wars: reflections on the transformation of communication technologies and politics"
As noted in an earlier post, I've been invited to participate in the International Conference for the Integration of Science, Technology and Society (ICISTS), hosted by KAIST here on campus and at the nearby Daejeon Convention Center August 5-9. My main presentation on Tuesday, August 6 will be in one of the parallel sessions. I've entitled the presentation "Forgotten, televised and cyber wars: reflections on the transformation of communication technologies and politics." Although, as with any presentation, the preparation took considerable time, I thoroughly enjoyed putting this one together. It draws upon my early research on U.S. television news coverage of international affairs, as well as more recent work here in Korea on the impact of the digital information revolution of the late twentieth century. It was especially interesting yesterday to meet with two of the KAIST students who are leading preparations for the conference. They've put together quite an interesting agenda for this year's conference and I am looking forward to it. The theme of this annual conference --integrating science, technology and society--seems to assume added importance with each passing year. It is especially meaningful to have a student-organized conference since those who are now students will soon be grappling with all of the most difficult challenges of this revolutionary millenium.